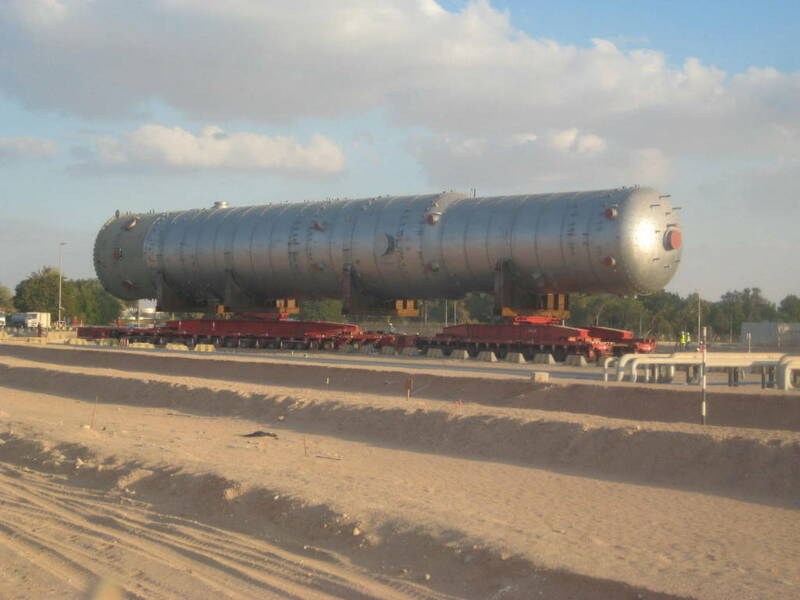 3000 tons capacity turntables bolsters for ALE Middle East Project. The bolster adapts in rough condition. Equipped with hydraulic cylinders turntables and bolsters are able to automatically follow steering of China modular trailer and tractor. When prime mover turning, hydraulic pressure from front turntable will be passed to rear bolster, then steering cylinder will pull or push suspension via tie rod to realize simultaneous steering, just image the long cargo as a steering rod. 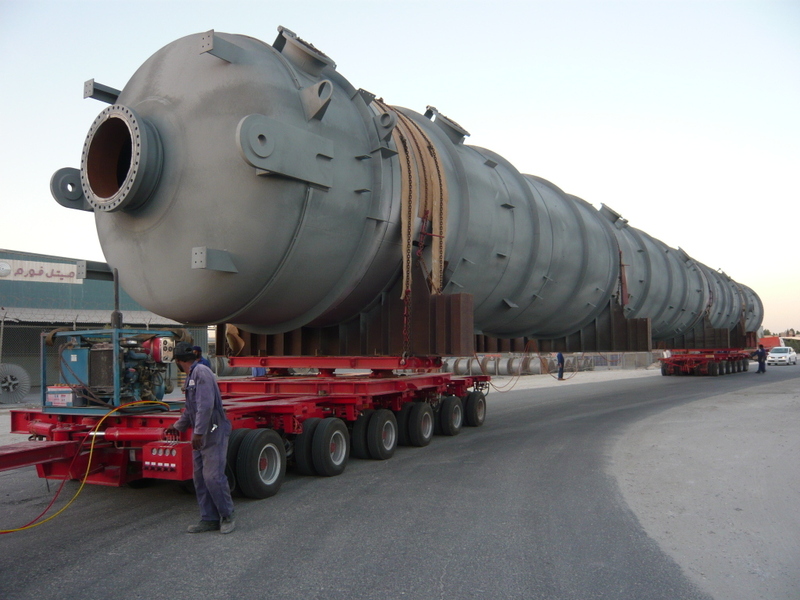 Different types of turntable bolster can be supplied to fit with Goldhofer THP/SL, Scheuerle InterCombi, Nicolas MDED, Cometto 51M, Scheuerle SPMT and Goldhofer PST SPMT. Increase steering angle and stability. Spread concentrated weight via distribution bolster. Protect long cargo away from twist force. Hydraulic jacking up system help to lift cargo.